It turned out rather well today. It was a cold start in the westerly breeze but flat-ish looking cumulus clouds formed into orderly rows and wave was encountered early on. One ASW24 pilot climbed to over 5,000 feet in wave while those who were encountering thermal lift were considerably lower. Some cross-country flying was attempted with mixed results. Wave influence on the otherwise often abundant thermals made tasks tricky. At least one cross-country pilot had to fire the turbo to get home. We also entertained many visitors today. 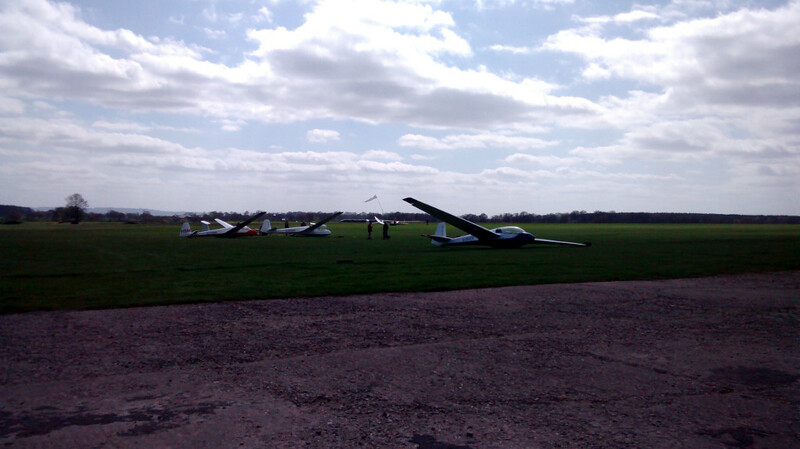 Some just enjoying the sunshine and the airfield spectacle and others partaking in trial gliding lessons with us. Visitors came from across the region as well as the nearby village of Wilmcote. Towards the end of the day, we heard one pilot flying from Aston Down on the radio informing his home field that he would be a “little late” home as he was at 10,000ft in wave overhead the Black Mountains. 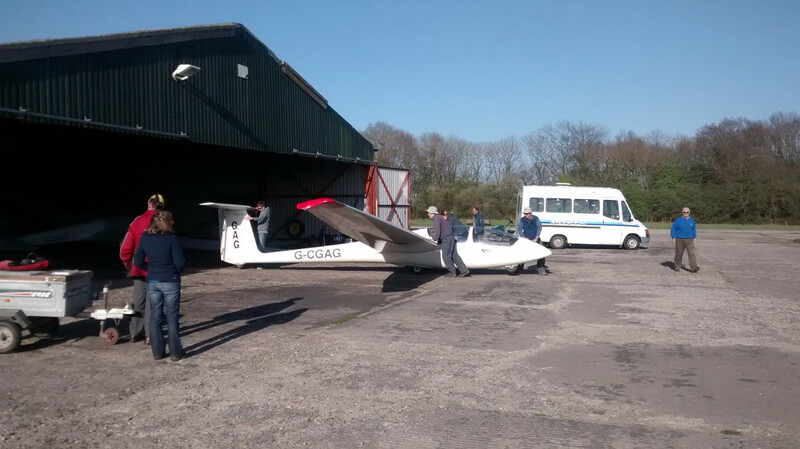 With over 40 launches and 24hours logged flying time, we were packing the hangar and de-rigging private aircraft late into the day. 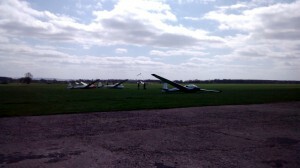 This entry was posted in Flying reports and tagged cross country, gliding, soaring by admin. Bookmark the permalink.